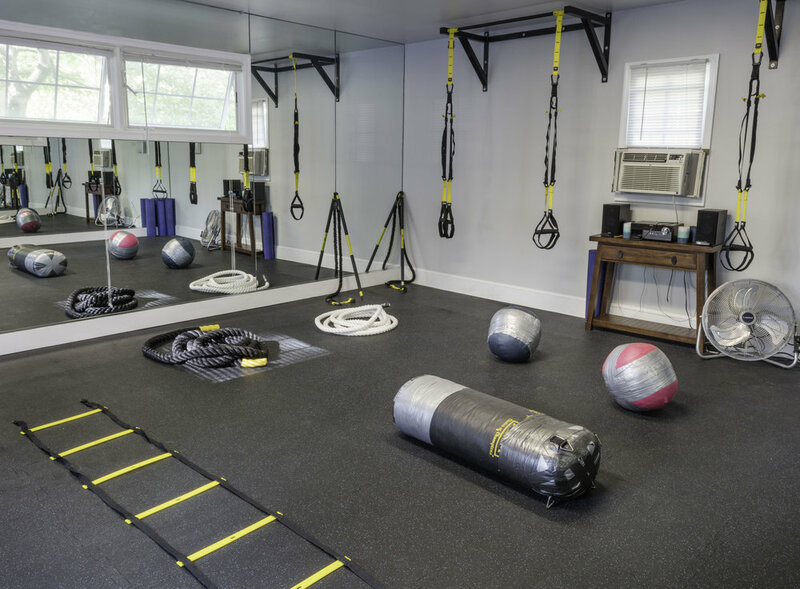 APF is a fully equipped fitness facility with multiple cardiovascular machines, as well as a full array of strength training and sports conditioning equipment. The studio offers personal training as well as small, personalized classes in Yoga, Spinning, TRX & HIIT. It has fully functional locker rooms and towels are provided. Current clients can sign up for classes online. One on one or partner workouts designed to help you reach your individual needs and goals. Personal training sessions include an initial assessment and continued evaluations of your progress. Online training is available if you are not located in or around Arlington, Virginia. All spin classes are taught on Keiser Spin Bikes by a certified spin instructor. Small classes emphasize proper alignment and technique as well as an appropriate level of challenge for each participant. All Yoga classes are taught by a certified yoga teacher. Class size allows for individualized supervision of all poses to ensure safety and progress in their yoga study. HIIT is a high intensity interval training class, taught by a certified personal trainer. The class focuses on upper & lower body strength/power training accompanied by intense cardio intervals. Ready to get started working with APF? Reach out below and we'll be in touch within 24-48 hours.